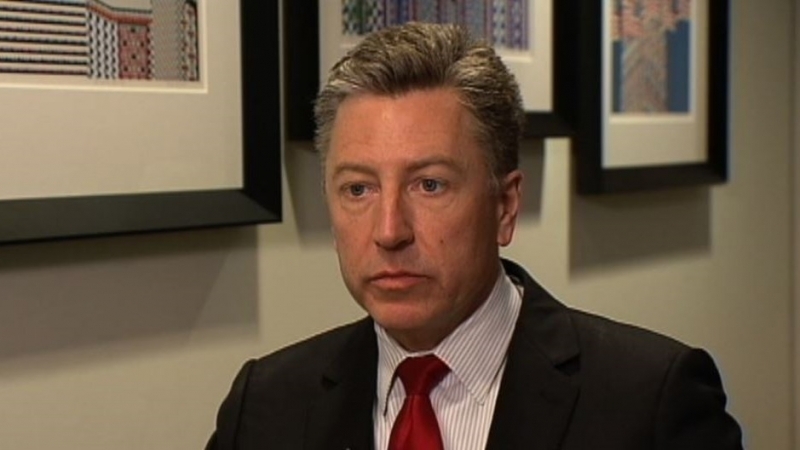 US President Donald Trump seeks to achieve peace in Ukraine and wants Ukraine to regain control over its occupied territories, according to the US Special Representative on Ukraine Negotiation Kurt Volker. Volker noted that a group of people, including himself, at the administration of the Head of the White House believes that improving relations with Moscow is impossible in conditions when Russia supports the war in Ukraine and as a result is subject to European and American sanctions. "If we are going to have any improvement in U.S.-Russia relations, we don’t want to stay where we are. We’d like for this to be more constructive," he said. Volker believes that in order to achieve this, "progress in Ukraine" is needed. “I know, having heard from the president directly on this, he wants to do this. He wants to make peace; he wants to see this resolved; he wants to see Ukraine get its territory back. It’s crystal clear, "the US Special Representative said. Earlier, Volker stated that in case of deployment of UN peacekeepers in the east of Ukraine, the mission should not include Russian citizens. He noted that the mission should move freely throughout the Donbas and control only the Ukrainian side of the border with the Russian Federation. Militants again "liquidated" imaginary "Ukrainian saboteurs"